If you dare mention adding an electric motor to a kayak in a public forum, you are bound to meet some resistance. People have all kinds of reasons as to why you shouldn't do it. Most of these reasons boil down to the simple fact that these people want to impose their will on you and since they haven't added a motor to their kayak, you shouldn't either. Normally I find it best to just ignore those type of people. Ignoring is better than expressing my actual thoughts about anyone who tries to tell me the manner in which I can have fun in my kayak. Just for the sake of argument though, I am going to address many of the alleged issues as to why a person shouldn't add an electric motor to his/her kayak. #1 If you want a motor, you should just get a boat. This is probably the dumbest argument against adding a motor to a kayak, but it is the most common thing I hear people say. Who decided electric motors were only for boats? An electric motor is no different than a fish finder, power pole, or any other device you choose to add to your kayak. These things are just tools. They won't catch fish for you but they can make it easier to perform the techniques you use while fishing. The notion that kayak fishermen should be limited to only using a paddle is just ridiculous. #2 You will have to register your kayak like a boat. This is true depending on what state you live in. Here in Tennessee where I live, any motorized vessel has to be registered. The cost of registering will vary per state so I guess that could be a factor if your home state charges excessive fees. In Tennessee, the cost is $13 per year which definitely isn't enough to deter a person from adding a motor to their kayak. #3 They aren't allowed in kayak fishing tournaments. 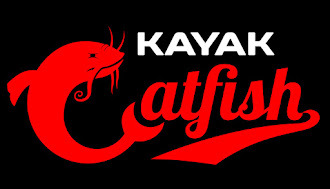 Many kayak fishing tournaments do not allow motors. I don't see why this should deter you though. If you want to fish a tournament that doesn't allow motors, just take it off. What is the big deal? You can still use it on non tournament fishing trips. You can also expect many tournament trails' stance on electric motors to change in the next few years. As more people begin utilizing them, there will be more pressure on local tournament directors to change their rules. KBF which is the largest kayak bass fishing trail already allows motors in their tournaments. The local clubs and trails won't be far behind. #4 It is a safety issue. There is a level of risk involved with kayak fishing regardless of whether a person paddles, pedals, or uses a motor. Be smart. Don't overpower your kayak. Wear a PFD at all times. Stay within the weight limits of your kayak. #5 Kayak fishing is supposed to be about simplicity. For many people, the simplicity of kayak fishing is what draws them to it. Personally, I struggle with this myself. I want to keep things as simple as possible but at the same time, I don't want to be limited while on the water. The level of simplicity or complexity you choose for your fishing is up to you though. It isn't anyone else's place to decide that for you. The debate over electric motors between kayaking purists and fishermen who fish from kayaks will continue to rage on in the coming months and years. People used to say many of the same things about pedal kayaks. Over time, as more and more people made the switch to pedal kayaks, the purist gatekeepers of the kayak fishing community softened their stance. Now days you hear the term "human powered" used as the determining factor of what is allowed to be considered a kayak or not. I imagine the battle over electric motors will follow a similar course to acceptance. Until then, I will let you all try to settle the social media debates. I have some fish waiting on me to catch them and they don't seem to mind how my kayak is propelled. I am thinking about getting a properly powered electric motor because of a back problem and my limited paddling ability. As a canoeist it really hurts to not be out on the water so nuts to them!